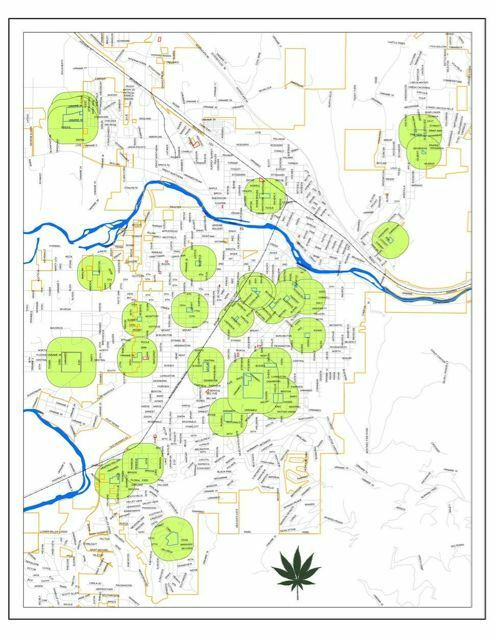 There is a very interesting feature piece in this week’s Missoula Independent about the cautious return of medical marijuana businesses. The article looks at the new players, describes the court injunction against the more absurd parts of SB 423, and includes some cautionary concern from an old player, Chris Lindsey, who is still on probation and unable to practice law due to being a convicted felon. Whatever he’s doing—making coffee, explaining the hypocrisy inherent in U.S. drug law, describing the advantage of using glycerin over grain alcohol to make marijuana tincture—Chaszar does it with a kind of casual deliberation. He comes across as being unhurried but decisive, methodical but imaginative. He is as knowledgeable about the status quo as he is interested in innovation. If he sounds more like a graduate student than some stoner, it’s not by accident. Chaszar holds a master’s degree in plant physiology. He has also spent time traveling the world, first with the Air Force and later while working with nongovernmental organizations to combat HIV and AIDS in Africa. Most recently, he managed part of a climate change research project, a job that required constant travel within the U.S., while also running Deep Roots Medicinals, his marijuana growing and delivery business. Kelly McCarthy spent 23 years “in and around the U.S. military,” including stints with the National Security Agency, the CIA and Air Force intelligence, where his work included drug interdiction. Now he owns a consulting firm in Billings, serves as a Democratic state representative and is leading the legislative effort to reform the state’s medical marijuana program. During the last session of the state legislature, McCarthy sought to introduce a bill that would make permanent the changes Judge Reynolds has made to the Montana Marijuana Act through his injunction. Though his bill never even made it out of committee, McCarthy says he’s going to renew his effort during the 2015 session. And he’s optimistic the outcome will be different this time. For one thing, he says, society in general is becoming ever more comfortable with marijuana. For another, the current state of the program, which is decidedly tame and contained compared to 2011, is convincing evidence that the state can run a medical marijuana program that isn’t merely a means of legitimizing recreational use. And finally, McCarthy says he has found support for a new marijuana reform bill from “people on both sides of the aisle,” though he’s reluctant to be too specific about who’s joining the effort. That groundswell came from a few different places, like Safe Community Safe Kids, run by a shady LDS anti-cannabis crusader. Any story with the word “Christ” in the headline demands very careful wording. Christ was in Deschamps’ court seeking a continuation of a restraining order against three former employees who are suing him. Shortly into Thursday’s hearing, Deschamps posed the question. The judge repeated the name twice, pronouncing it as Christ – rhymes with schist – and then Christ as in, you know. So that’s how Deschamps said it. Though Lindsey was well aware of federal drug laws, he was confident that his stature within the legal community combined with President Obama’s expressed unwillingness to get involved in state marijuana laws and the existence of a state program would keep him safe from prosecution. Those most vulnerable, Lindsey says, are those who think they’re behaving the best.